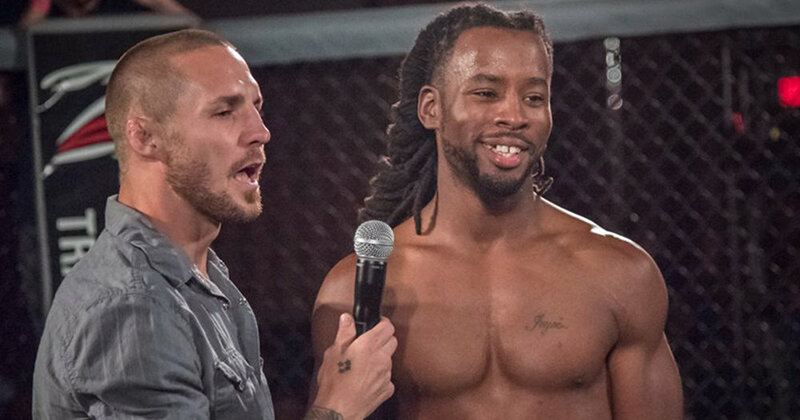 HFC Title Contender Corey Jackson spoke with AllianceMMA.com about fighting in his hometown at HFC 32, the mental aspects of the fight game, and much more. Jackson is set to face Nick Friedrich for the amateur lightweight title at HFC 32 of February 11th, at the Blue Chip Casino in Michigan City. Jackson himself is a native of the LaPorte County city, and he takes great pride in saying that he grew up there. He even recalls the construction of venue in which he'll being competing in. Jackson knows he is going to have the crowd on his side, and he says he's ready to light up the Blue Chip like the Old Michigan City Lighthouse. Corey comes into this fight on quite a win streak. He holds a 2-0 record in MMA, but he has competed (and won) both Muay Thai and Kick Boxing tournaments all over the country within the past eight months. Jackson said that all of the hard work he's put in recently has taught him a lot about himself. "I’m resilient, man. I’ve learned to train smarter and not harder. I focus on the things I need to improve more, and I’m really learning to listen to my body. I don’t over-train nearly as much. This past year has been very eye opening for me. I train full-time now. I just quit my job a couple months ago, so training is all I do. My number one goal is to be in the UFC and I’m solely focused on that." Jackson trains out of American Top Team in Atlanta, and he says he and his camp are preparing for Friedrich to use the same flashy techniques he has in the past. "We’re working on a little bit of everything. Striking, takedowns, jujitsu, wrestling. At ATT Atlanta we work to become complete mixed martial artists. We’re making sure we’re ready for his unpredictability. He like to throw a lot of spinning techniques. I want to be aggressive and stay cautious at the same time because I know he has some tricks up his sleeve." The trick he's referring to is the spinning heel kick that landed flush on Friedrich's last opponent and got him his first win. Many fighters see spinning techniques as an opportunity to get the opponent to the ground, but not Jackson. He's looking to counter with his own striking. "I’m looking to stand and bang with him. No disrespect to Nick, but I just feel like his last opponent lacked the technique and that’s how he got hit with that. I won’t be lacking anything come February 11th." Everyone knows technique isn't all you need to be successful in MMA. Much of the sport revolves around your ability to adapt mentally. Jackson acknowledges that fact and even took it a step further. "I think the fight game is ninety-percent mental and ten-percent physical. You can have all the skill and technique that you want to have, but if you can’t get in the cage in front of all those people and stay mentally focused, you won’t be able to use those attributes you’ve trained so hard to achieve. You have to have the mental capacity to handle all of that. The physical aspect of fight is the easy part. It’s the battle inside your mind that gets complicated." If Corey does indeed win the amateur lightweight championship at HFC 32, he plans on seeing how things play out before he takes his next step. Many times after winning an amateur title, fighters want to go pro. Jackson says it's up to him to win first, and then he'll weigh his options. "It all depends. This will be my fifth fight in eight months and I’ve been doing a lot of back-to-back training camps. So, I want to take a short break after this fight and work freely on some other aspects of my game. It’s really up to what HFC wants to do. If I get that belt I might want to defend it once and then go pro, but making that step to professional MMA is something I want to do very soon." Climbing the regional ranks and going from amateur to professional is no easy task, but with Alliance MMA promotions all across the country, Jackson will have plenty of options when it comes time to schedule his next bout. He says HFC has been the best home for him thus far. "What Alliance MMA is doing is really great. Not just having all of the promotions, but the way the run them too. HFC is definitely different from a lot of other promotions I’ve fought for. They’re professional, and they handle business very well. The communication with Paul and Danielle is always great, and everything goes so smoothly with them." Alliance MMA loves to hear things like that. We strive to be the premier regional MMA organization in the world, and when fighters talk about their satisfaction when dealing with us, that means we're on the right track. If you are in the Chicago/Indiana area make sure you come out to HFC 32 to see Corey Jackson take on Nick Friedrich for the amateur lightweight title on February 11th, LIVE from the Blue Chip Casinio in Michigan City, IN. Limited tickets are still available! Click the link below to purchase yours today!